Home Osaka beaten Naomi Osaka stunned by Kristina Mladenovic in first match Australian. Naomi Osaka stunned by Kristina Mladenovic in first match Australian. 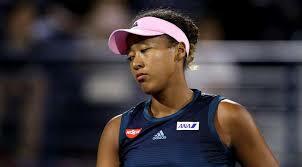 This match is the result of that, Osaka told reporters of her coaching shake-up. I’m pretty sure as time goes on you guys will stop talking about it. For now, it’s like the biggest tennis news, I guess. And because last year I wasn’t even anywhere close to this ranking and people didn’t pay attention to me and that’s something that I’m comfortable with. I don’t know why I’m crying, she said with a smile. I don’t know why this is happening. I don’t really like the attention, so yeah, it’s been a little tough.